Assume a class Window with accessor method getWidth that accepts no parameters and returns an integer. Write the definition of a function named averager that receives a double parameter and returns– as a double — the average value that it has been passed so far. Write the implementation (.cpp file) of the Averager class of the previous exercise. The full specification of the class is: An data member named sum of type integer. 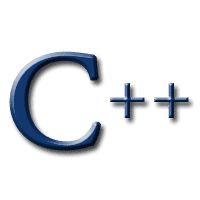 Write the implementation (.cpp file) of the Counter class of the previous exercise. Creating objects of the Currency class require a name (string), a currency symbol (string) and the number of decimal places (integer) usually associated with the currency (in that order). Given an ifstream object named input, associate it with a file named hostdata by opening the file for input. Assume you are given a variable, payRate of type Money (a structured type with two int fields, dollars and cents). Declare a structure whose tag name is Server and that contains the following fields: manufacturer, a string, model and serialnum, both also strings, year, an int, clockSpeed, a double, cores, an int, ram, an int and finally storage an int.